In the fall of 1777, British troops commanded by General John Burgoyne were advancing south from Canada towards New York along the water route of Lake Champlain, Lake George and the Hudson River. They clashed with a larger force of American soldiers led by General Horatio Gates at Freeman’s Farm on September 19 in the First Battle of Saratoga, but withdrew after failing to penetrate the American line. On October 7, Burgoyne’s second attack met with a fierce American resistance, spearheaded by Major General Benedict Arnold, in the wooded area of Bemis Heights south of Saratoga. Known as the Battle of Bemis Heights, or the Second Battle of Saratoga, this American victory proved to be a major turning point in the Revolutionary War. 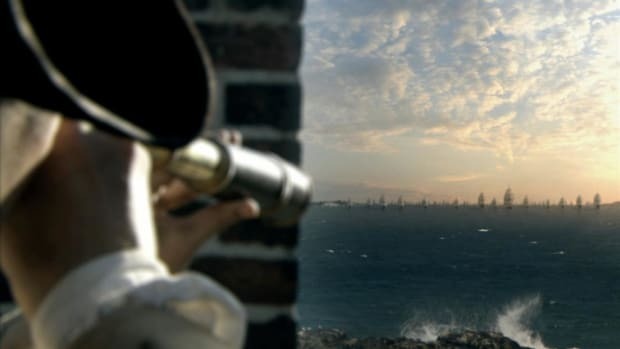 After the failure of the American invasion of Canada in 1775-6, British troops commanded by General John Burgoyne prepared to move south from the St. Lawrence River region to join forces with General William Howe’s men near the Hudson River. The goal of this two-pronged British advance was to separate New England (where the American Revolution had the most popular support) from the southern colonies, which provided much of the rebel army’s supplies. Did you know? At Saratoga National Historical Park, visitors can explore more than 1,400 acres of countryside, including the historic battlefield and a 155-foot obelisk commemorating the American victory. 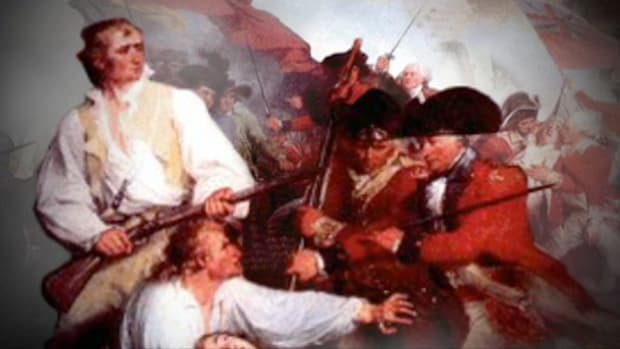 In early July 1777, Burgoyne and some 8,000 Redcoats forced the surrender of Fort Ticonderoga, on Lake Champlain. Leaving some 1,000 troops to guard the fort, Burgoyne moved on to the Lake George and Upper Hudson River area, capturing Fort Edward at the end of July and encamping near Saratoga. Just a few miles away, Continental forces under Horatio Gates were assembled, already numbering some 12,000 men. Meanwhile, Howe’s British forces diverged from the original plan, moving south to confront American forces in Pennsylvania. Despite scoring decisive victories in the Battles of Brandywine and Germantown and occupying Philadelphia by the winter of 1777, Howe’s change of plans would leave Burgoyne’s forces in New York exposed and alone, even as General George Washington ordered state and local militias to join the regular Continental army in the region. On September 19, 1777, Burgoyne’s and Gates’ armies met at Freeman’s Farm, some 10 miles south of Saratoga. When Burgoyne attempted to outflank the rebels, a detachment led by General Benedict Arnold and sharpshooters under General Daniel Morgan inflicted heavy casualties on the British forces; the British lost two men for every American killed. With his men encircled by enemy forces, Burgoyne called on his senior officers for counsel. 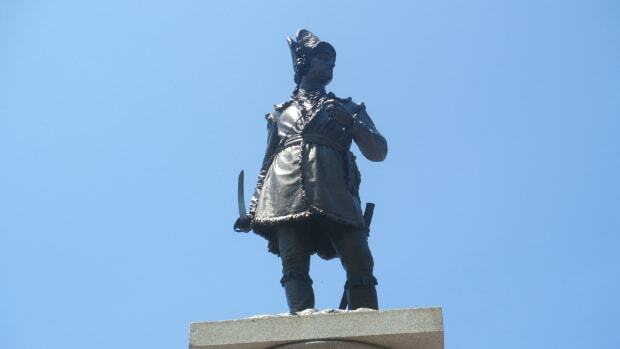 Though the ones who spoke up advocated retreating towards Canada, Burgoyne went against their advice and ordered another attack, desperately trying to break through Gates’ line and proceed towards Albany. On the American side, Gates had received even more reinforcements, and rebel soldiers now outnumbered the Redcoats by two to one. 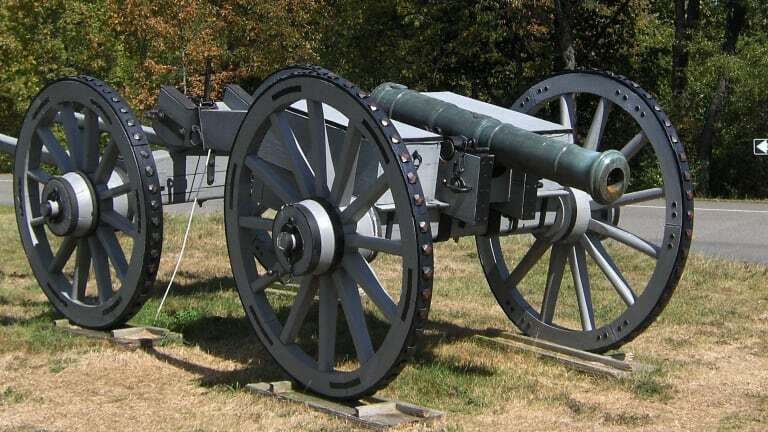 On October 7, Burgoyne led 1,500 of his men with 10 artillery pieces on a reconnaissance mission. Scouts brought news of the British approach to Gates, who dispatched a brigade of soldiers to attack the British left, supported by Daniel Morgan’s regiment. The forces met at Bemis Heights, a densely wooded plateau south of Saratoga. Arnold played a major role in the attack, charging to the front and leading the American forces in battle. They drove the British forces back to their camp, again inflicting heavy losses. In the aftermath of the Battle of Bemis Heights, some 20,000 American soldiers surrounded Burgoyne’s remaining 5,000 Redcoats at Saratoga. With supplies dwindling, Burgoyne surrendered his forces on October 17. Collectively, the two Battles of Saratoga were seen as a crucial turning point in the Revolutionary War. 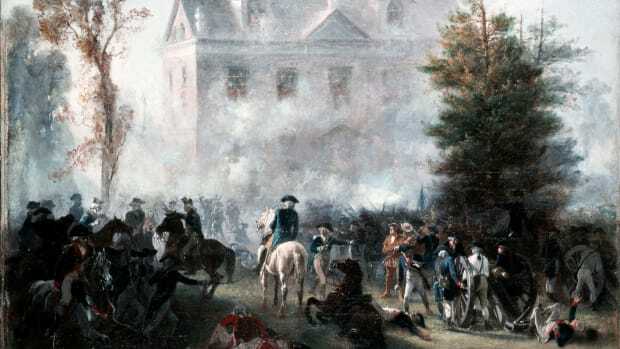 As a result of the victory, France officially recognized the cause of American independence and began to openly give military assistance to the rebels. 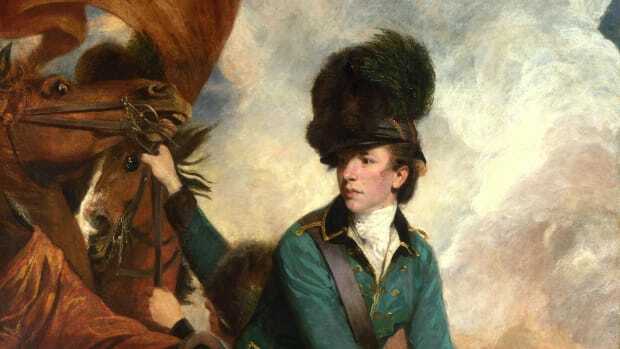 After the crushing defeat at Saratoga, Burgoyne returned to Britain, and was never given another command. 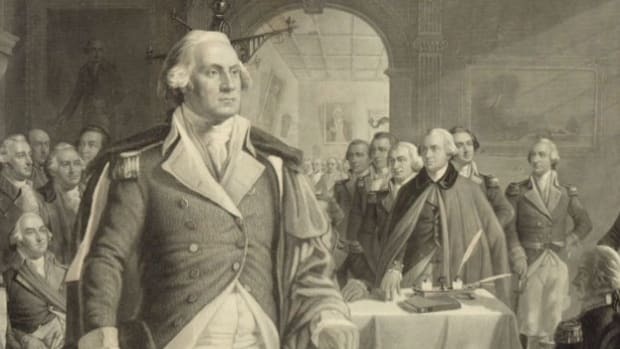 Howe’s forces occupied Philadelphia but failed to deliver a crushing blow against Washington’s troops, who then spent a hard winter at Valley Forge. France officially declared war on Britain in June 1778, and in the fall of 1781, Washington’s Continental Army and French soldiers commanded by General Jean Baptiste de Rochambeau moved against British forces at Yorktown, Virginia; a fleet of 36 French warships offshore prevented British reinforcement or evacuation. 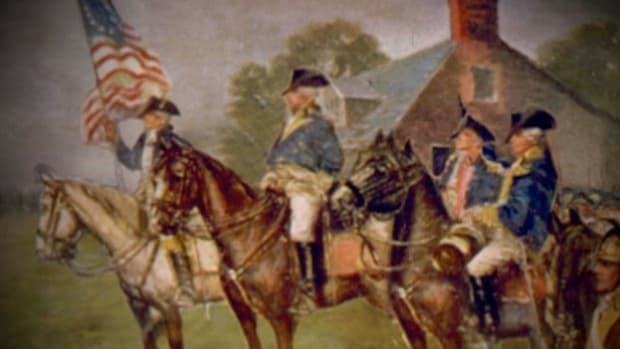 Britain’s Lord Charles Cornwallis was forced to surrender his entire army, effectively marking the end of the Revolutionary War (though fighting did not officially end until 1783).